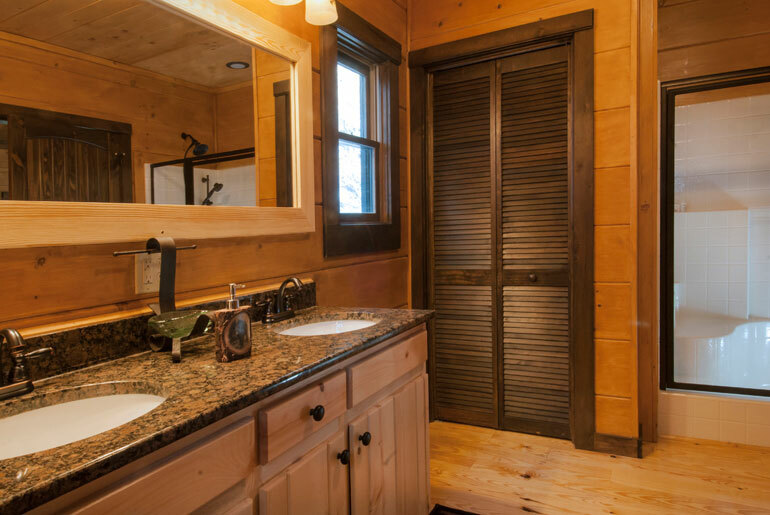 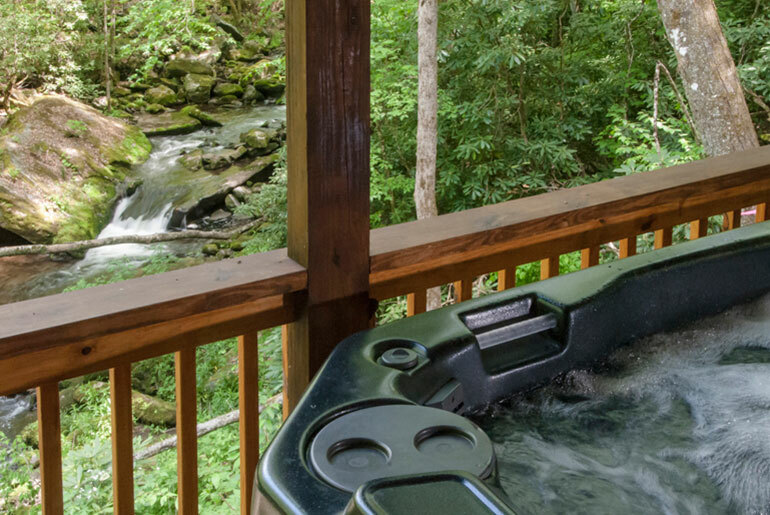 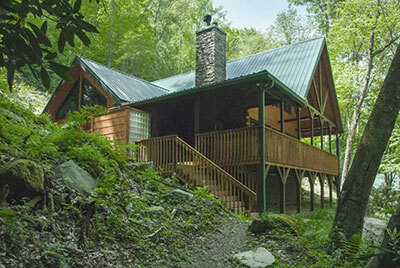 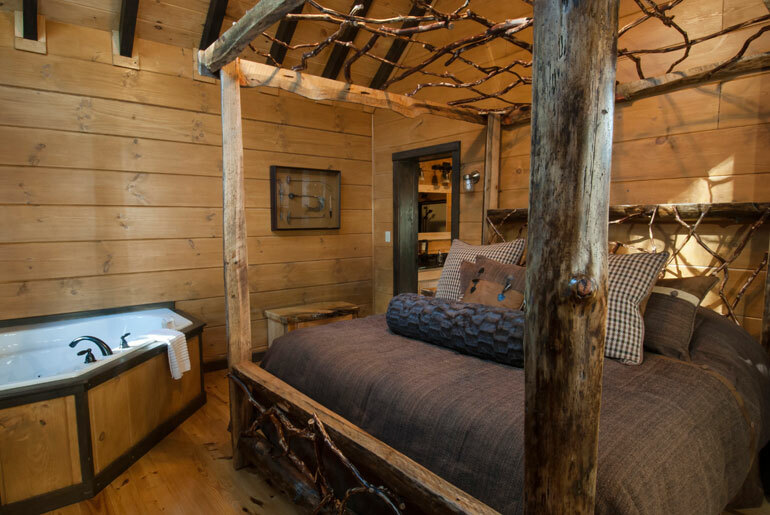 This luxury one bedroom, one bath cabin overlooks the rushing waters of White Oak Creek where two small waterfalls cascade over large river rocks. 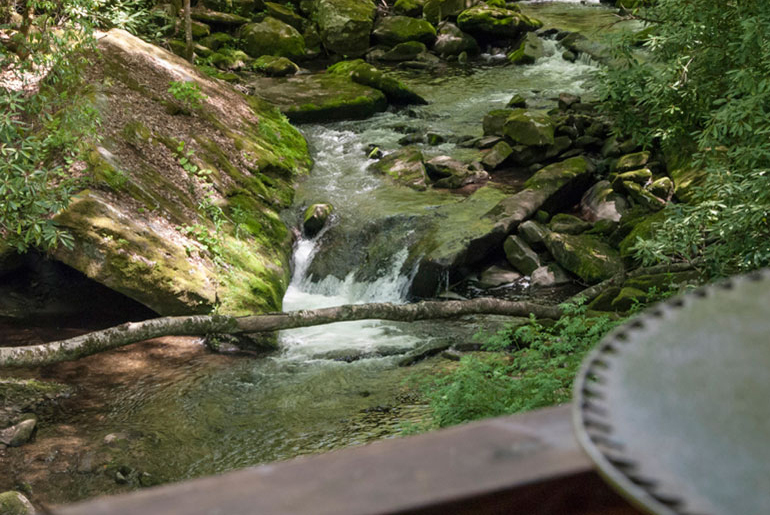 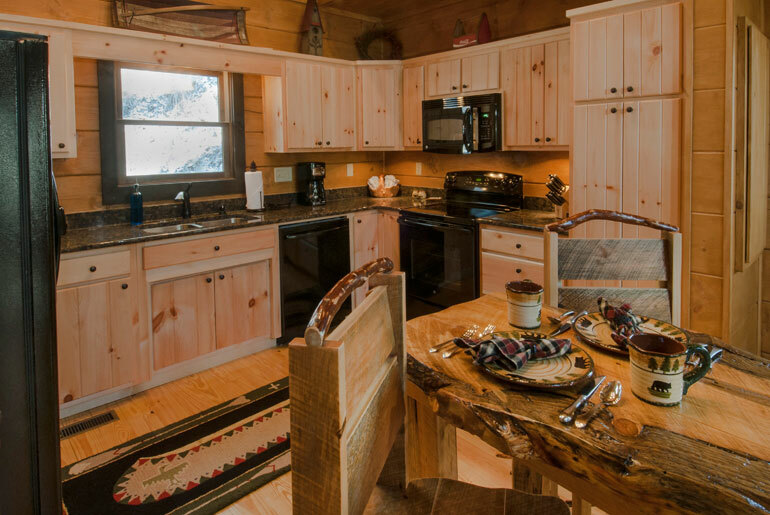 The cabin has an open floor plan with beamed cathedral ceilings, and floor to ceiling windows with French doors to give you full access to a beautiful view of the creek. 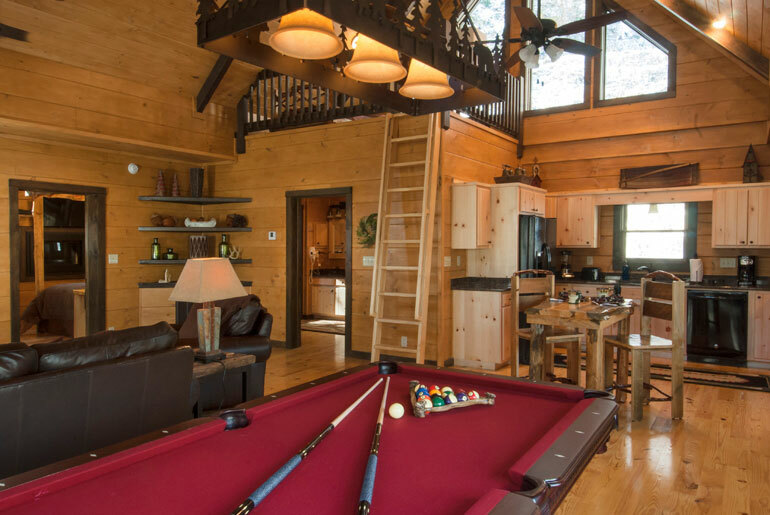 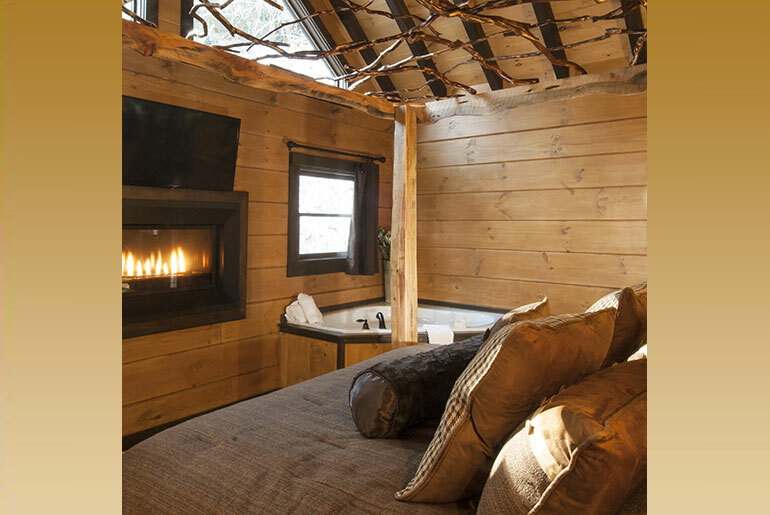 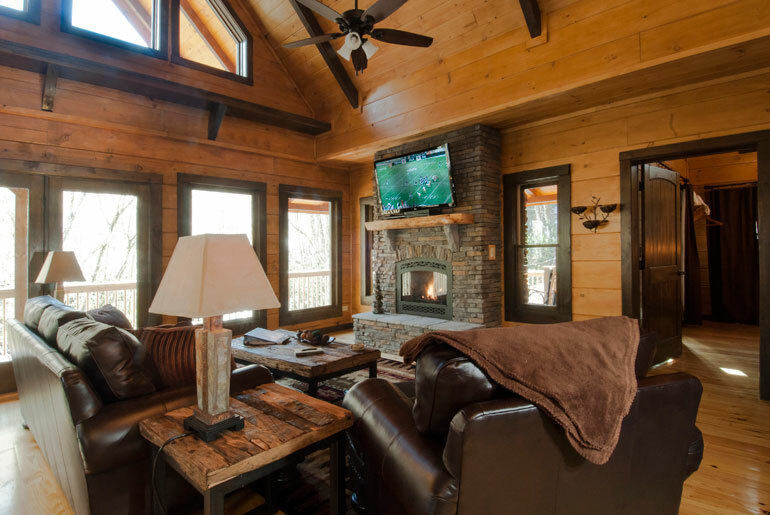 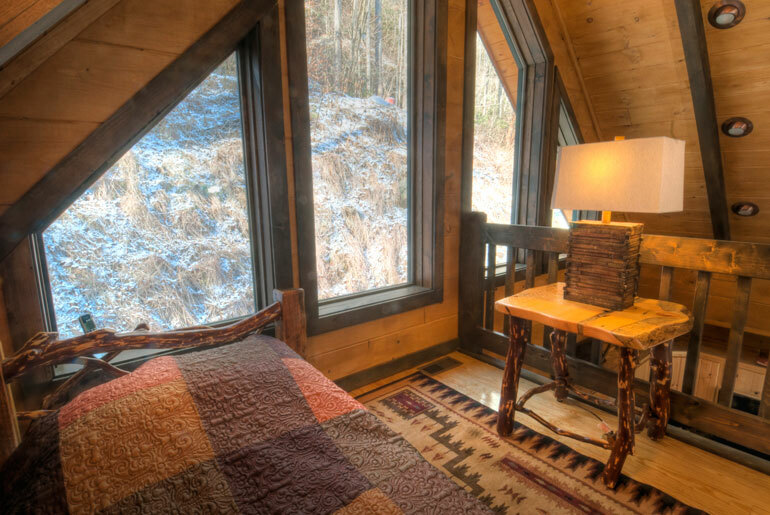 Between the Falls has a stone gas-log fireplace in the living room, as well as a linear gas fireplace in the bedroom; two TVs with premium channels; a pool table; a covered deck with hot tub, wood-burning fireplace, and private, outdoor shower; and a creekside observation deck. 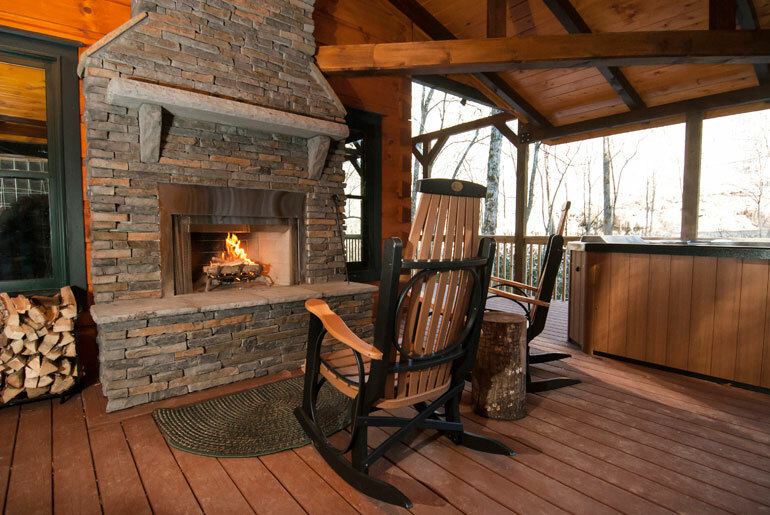 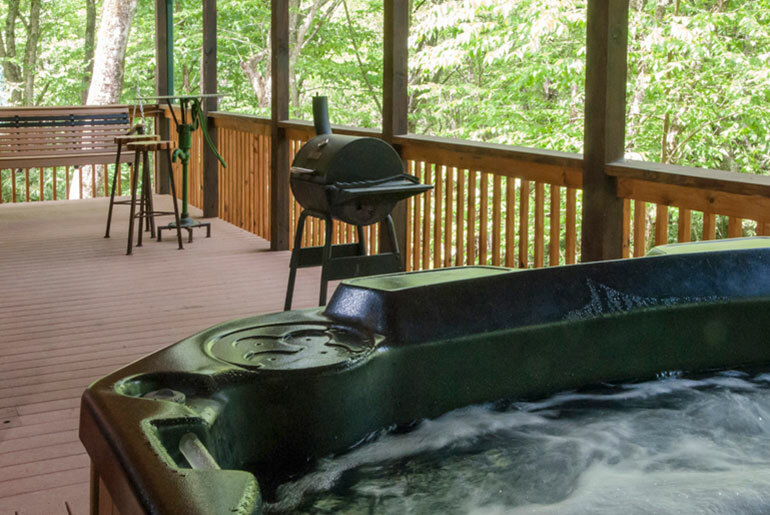 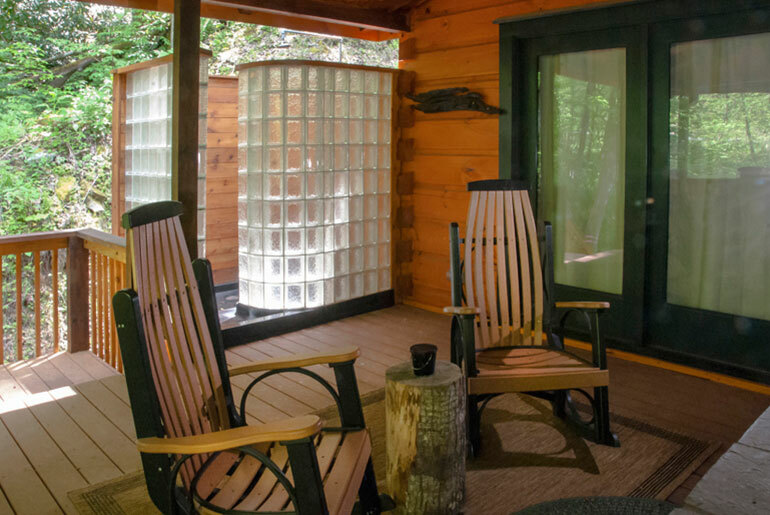 Wrap-around covered deck with stone wood-burning fireplace, hot tub, rocking chairs, seating area, charcoal grill and private outdoor shower (seasonal). 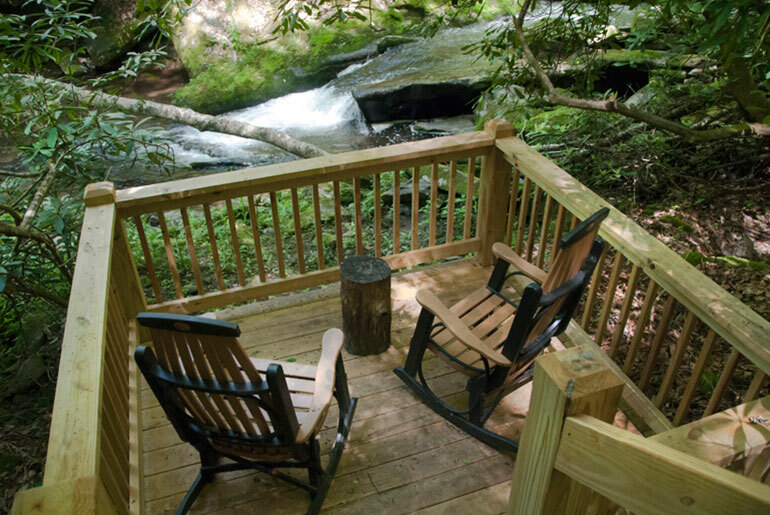 Creekside observation deck with two rocking chairs.